Laura Muir successfully defended her British title at 3000m and then revealed she wants to double up for Glasgow 2019. 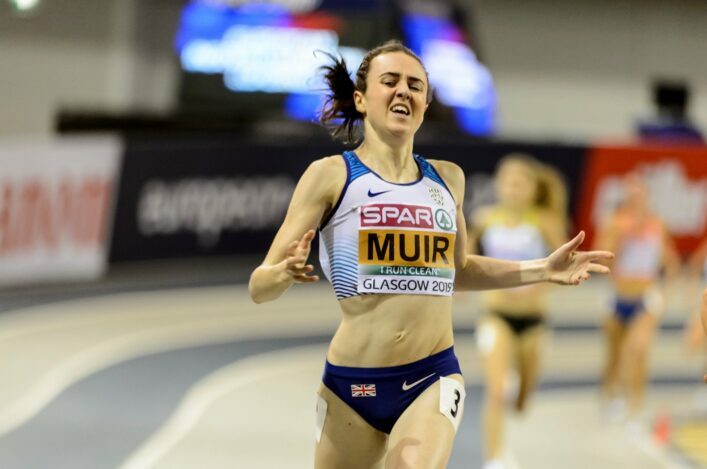 Muir’s place at the European Indoors is now assured and attempting to repeat her 3000m and 1500m golds from Belgrade is now up very much for consideration for the Emirates Arena. 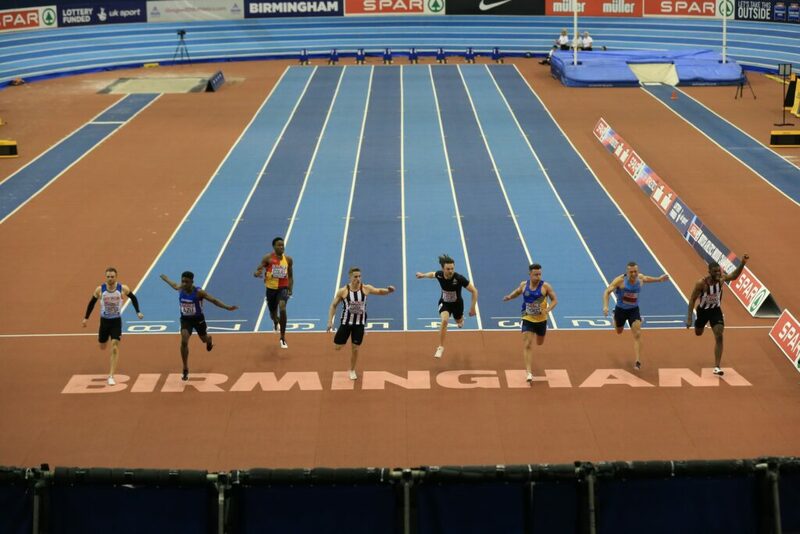 Sprinter Adam Thomas had claimed the first Scottish medal of the Spar British Champs shortly before Laura’s run to gold – when he took a superb silver medal in the men’s 60m heat. Adam clocked 6.66 in that race, with the gold for Dominic Ashwell at 6.64, but his PB run of 6.63 in the semi-final lifts him to third on the all-time list. On an excellent day of Scottish performances, there was serene progress to finals for the likes of race winners Guy Learmonth, Lynsey Sharp, Eilidh Doyle, Zoey Clark, Neil Gourley and Jemma Reekie. Others getting through to finals included Sol Sweeney and Kerry Macangus at 1500m. Doyle and Clark each won two 400m races, in fact. 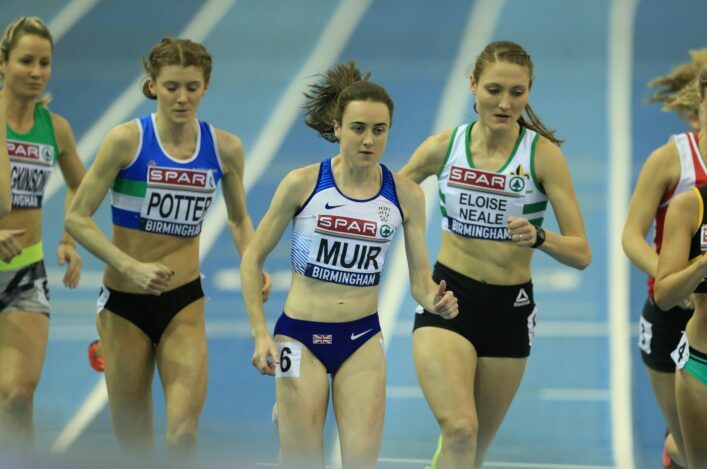 Beth Potter had taken out the 3000m final, with Eilish McColgan out through illness, but it was left to Melissa Courtney to try and hang on to Muir over the last couple of laps. Ultimately, the Welsh athlete finished a bit back in second with Laura home in 8.48.03. 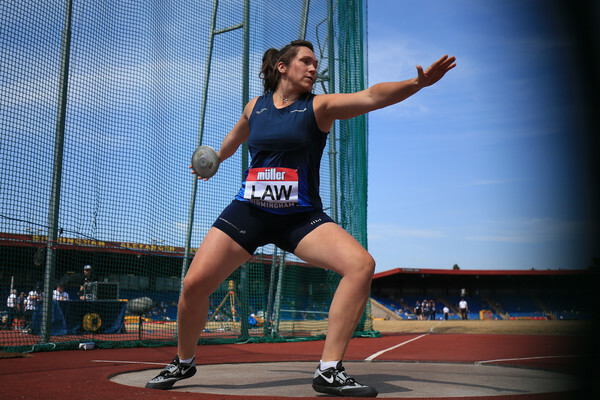 ‘This will be the first time now that I’ll be heading in as a defending Champion at a European Championships and to wear the orange bib for two events is really exciting for me,’ said Laura. ‘And now I’m purely excited for the Championships after that performance. I feel so comfortable indoors in Glasgow, I know the surroundings and I’m in great form. ‘The timetable in Glasgow isn’t perfect but it works for me. I think the double double sounds pretty nice to me. If it was anywhere other than Glasgow I might not have done it but it’s my hometown. Thomas, after finishing in the top two at the trials, would now seem to need a 6.60 (Scottish Record) run to post a qualifying time for Glasgow 2019. ”It has been a long day,’ said Adam. ‘I had to hold it together. I knew I had it in me. I have been training indoors and I think there is a 6.5 in there. ‘It just needs to be at the right race and at the right time. I really think I can get that qualifying time. I will give it a good go for sure. ‘I will have a ‘down’ week now and, hopefully, I can compete here next weekend and really go for that qualifying standard. I have been working hard with Leon [Baptiste] , my coach and changed a few things. There was a PB of 6.80 for Michael Olsen in his semi-final while, in the 800m heats, there were PBs for Hannah Cameron of Edinburgh AC at 2.07.87 (in third place) and for Cara Anderson of Perth Strathtay at 2.12.26. And there fifth places for Heather Paton in the 60m Hurdles final, Courtney MacGuire in the pole vault and Lewis McGuire in the high jump. Henry Clarkson was ninth in the Triple Jump, while Katy Wyper reached the 60m semis.